FINAL SALE - NO RETURNS!! 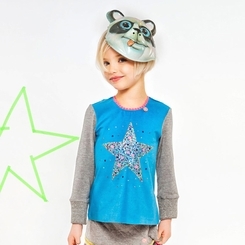 A cute colorblock tee in turquoise & grey, with a large sequined multicolor star on the front. 95% Cotton - 5% Lycra.